Putting an end to decades of rumors and speculation the Government of Ireland has finally introduced of a set of transfer pricing (TP) legislation. Ireland’s historic lack of TP legislation came to an end on February 4th when relevant laws were introduced in the Irish Finance Bill 2010. Based on a recommendation from the European Commission, small and medium sized firms (with assets of less than €50 million or turnover of less than €43 million, and fewer than 250 employees) are exempt from the TP legislation.The new rules only apply to the supply and acquisition of goods, services, money or intangible assets in trading and professional operations. Non-trading operations will not be within the scope of the introduced legislations. Record keeping duties have been placed squarely upon the taxpayer, with the legislation mandating the retaining and maintaining of records that “may reasonably be required” to justify their actions. The new laws contain a grandfather provision, whereby TP arrangements which had been agreed upon before July 1st 2010 will not be subjected to the legislation. Ambiguity within the definition of grandfathering will allow greater flexibility in TP activity for firms which were established before July 1st. 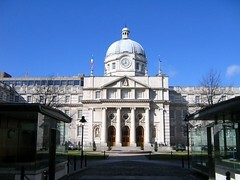 The Irish Government has claimed that the new measures are not intended to be a tax revenue raising measure, but a means of defending the Irish tax base and further integrating country’s tax system with international fiscal standards and regulations.